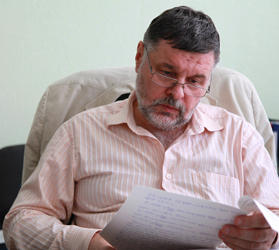 Head of Department «Radio devices and diagnostic systems». Honorary Worker of Higher Professional Education of Russia. 05.12.04 - Radio engineering, including systems and TV devices (technical sciences). Head of the Strategic Development Program for 2012-2016 OmSTU. Head of the research direction «Stable Frequency Source». Head of contractual and state budgetary research over the last 25 years. • Member of the Council of Rectors of the city of Omsk; Chairman of the Science and Innovation Council of Rectors of the city ofOmsk.